Mayor “Sunny” Jim Rolph Jr. 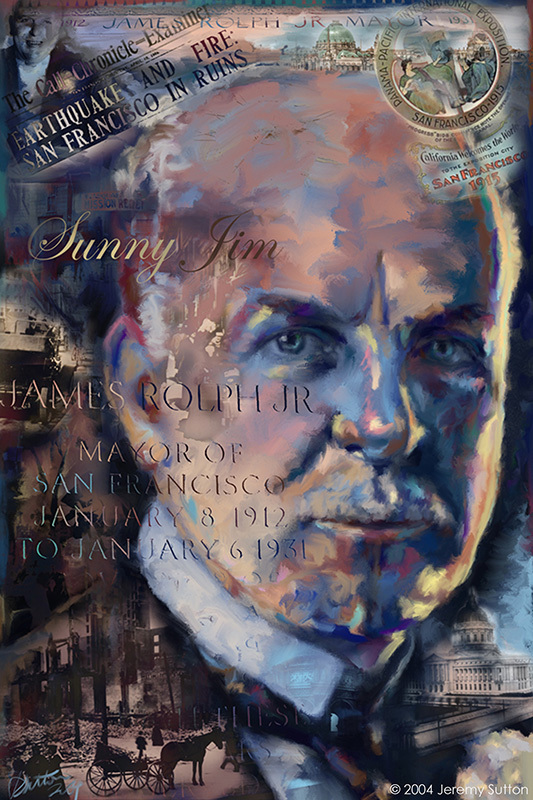 This portrait of the longest serving Mayor of San Francisco, ‘Sunny’ Jim Rolph, is part of my Legendary San Francisco Mayors series. It commemorates the life of one of the longest serving mayors of San Francisco who oversaw the recovery of San Francisco following the great earthquake and fire of 1906. He was instrumental in San Francisco hosting the 1915 Panama-Pacific International Exposition (PPIE), a world’s fair that celebrated the opening of the Panama Canal and the city’s post-earthquake reconstruction. 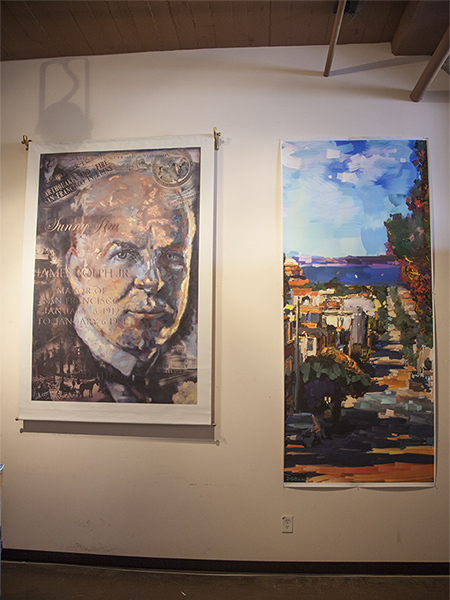 The centennial of this exhibition is currently being celebrated at the de Young Museum with their exhibition Jewel City: Art from San Francisco’s Panama-Pacific International Exposition.